About: Otitis externa refers to an inflammation or infection of the outer (external) ear canal. It is one of the most common medical conditions seen in cats. 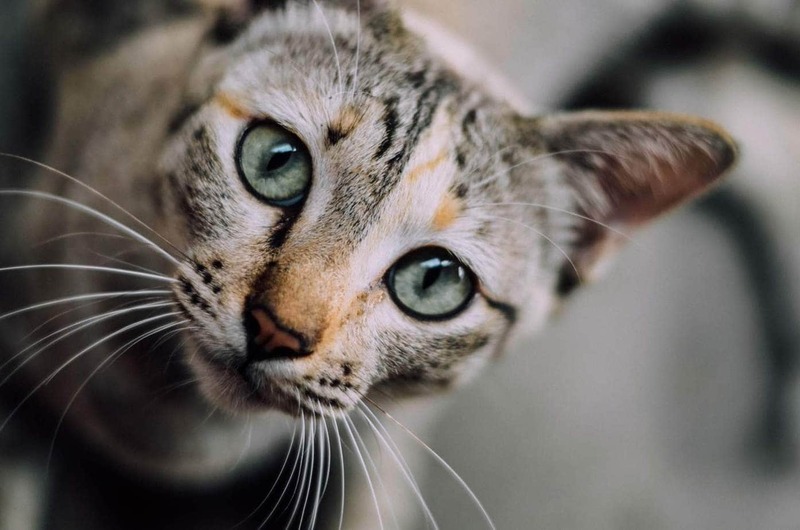 Causes: Ear mites are by far the most common cause of otitis externa in cats, other less common causes include trauma due to scratching, a foreign body such as a grass seed, allergies, polyps, autoimmune disorders, drug reactions and other parasites. Symptoms: Intense itching, foul ear odour, head tilting, build up of wax in the ear and pain. Diagnosis: Thorough physical examination of the ear along with samples of exudates and diagnostic imaging to look for tumours. Treatment: Address the underlying cause, clean the ears to remove discharge, administer antibiotics and anti-inflammatory medications. Otitis externa refers to an inflammation or infection of the outer (external) ear canal. It is one of the most common medical conditions veterinarians treat in cats. It is a somewhat difficult condition because while symptoms are usually the same, there are many causes of otitis externa in cats, which are listed below. Finding the cause of the infection is important to properly treat the condition. The condition may start from within the external ear canal or from the ear pinnae. It classified as primary or secondary. Primary otitis externa begins with irritation to the ear resulting in inflammation and a build up of wax in response. This creates a perfect environment for bacteria and yeast to take hold. Secondary otitis externa is due to bacteria or fungi taking hold due to the above-mentioned inflammation. Incorrect ear medication administration can also contribute to secondary otitis externa. Chronic inflammation and infection can lead to a thickening of the ear canal. Ear mites – Believed to account for up to 50% of all causes of otitis externa. Ear mites are spider-like parasites which live in the ears causing intense itching and inflammation. Trauma, usually caused by scratching. Foreign body, such as a grass seed, dirt. Allergies – There are four types of allergies to affect cats. Inhalant, food, contact, and insect (particularly flea bite hypersensitivity). Nasopharyngeal polyps – Benign growths originating from the mucous membrane of the nose and back of the throat. Autoimmune disease such as pemphigus complex. Other parasites such as feline scabies (notoedric mange) and demodicosis. Bacterial infection, the most common being staphylococci followed by streptococci and Escherichia coli. A fungal infection caused by Malassezia. Administration of ear medication inappropriately. Otitis externa causes considerable pain and discomfort to your cat and veterinary attention must be provided as quickly as possible. Left untreated, otitis externa can lead to a permanent narrowing of the ear canal along with changes to the cartilage of the ear canal. The most common symptom associated with an ear infection is intense pruritis (itching), one or both ears may be affected, the ear pinna may also be involved. The difficulty for veterinarians with this condition is determining if the cause has led to secondary infection or if an infection is the original cause. Your veterinarian will perform a complete physical examination and obtain a medical history from you. He will examine the ear with an otoscope to check for signs of infection, tumours, foreign objects etc. Questions he may ask include when did symptoms first occur, are they in one or both ears, is it seasonal or all year, what flea and tick treatments are you using, what food is your cat eating, has he had exposure to chemicals or irritants? These questions can go a long way to determining the possible cause. Cytology to determine if the infection is fungal or bacterial. It is important to obtain a sample from both ears as it is possible for the cat to have a fungal infection in one ear and a bacterial infection in the other. Examination of the ear discharge. Radiographs to evaluate for tumours. Treatment depends on the cause. The primary goals are to clean the ears, reduce inflammation and resolve infections which may be present. Your veterinarian will clean out the ears to remove exudate. Some cases are so painful, your cat will need to be sedated before his ears are cleaned. Antibiotic drops and/or oral tablets will be prescribed for the bacterial infection. Anti-allergy therapy in the case of allergies. This usually involves avoiding the allergen by diligent flea control, changing your cat to a hypoallergenic diet etc. Antihistamines may be prescribed to help alleviate symptoms. In some cases, if the allergen can’t be avoided, it may be recommended your cat undergo hyposensitsation therapy. Removal of foreign body, this is usually relatively straightforward with either the use of forceps or irrigating the ear with a saline solution. Immunosuppressive drugs to manage autoimmune diseases. Anti-parasitic medication such as Revolution, lime sulfur dips and Amitraz to treat ear mites, feline scabies, and demodicosis.